The earliest sundials known from the archaeological record are the obelisks (3500 BC) and shadow clocks (1500 BC) from ancient Egyptian astronomy and Babylonian astronomy. Presumably, humans were telling time from shadow-lengths at an even earlier date, but this is hard to verify. In roughly 700 BC, the Old Testament describes a sundial - the "dial of Ahaz" mentioned in Isaiah 38:8 and II Kings. The Roman writer Vitruvius lists dials and shadow clocks known at that time. 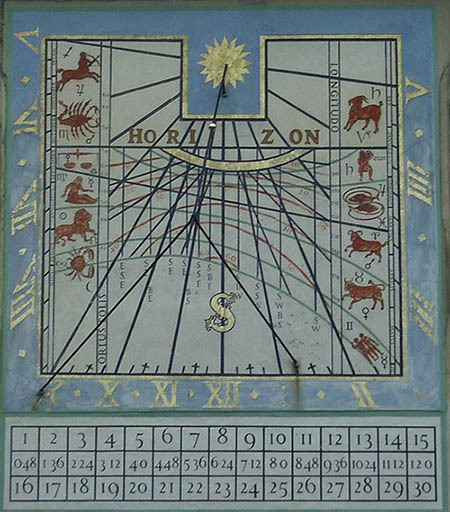 Italian astronomer Giovanni Padovani published a treatise on the sundial in 1570, in which he included instructions for the manufacture and laying out of mural (vertical) and horizontal sundials. Giuseppe Biancani's Constructio instrumenti ad horologia solaria (ca. 1620) discusses how to make a perfect sundial.They have been commonly used since the 16th century. A strange slab of rock discovered in Russia more than 20 years ago appears to be a combination sundial and moondial from the Bronze Age, a new study finds. The slab is marked with round divots arranged in a circle, and an astronomical analysis suggests that these markings coincide with heavenly events, including sunrises and moonrises. 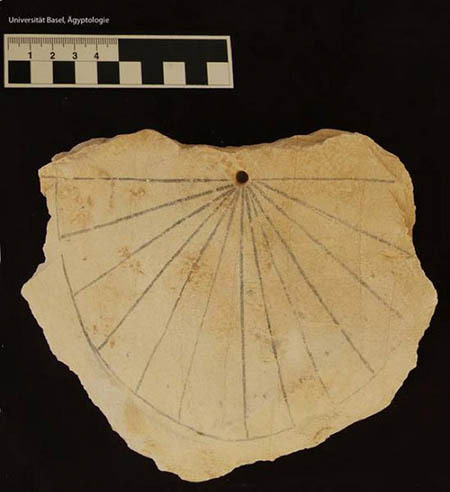 The sundial might be evidence of attempts of ancient researchers to understand patterns of apparent motion of luminaries and the nature of time.